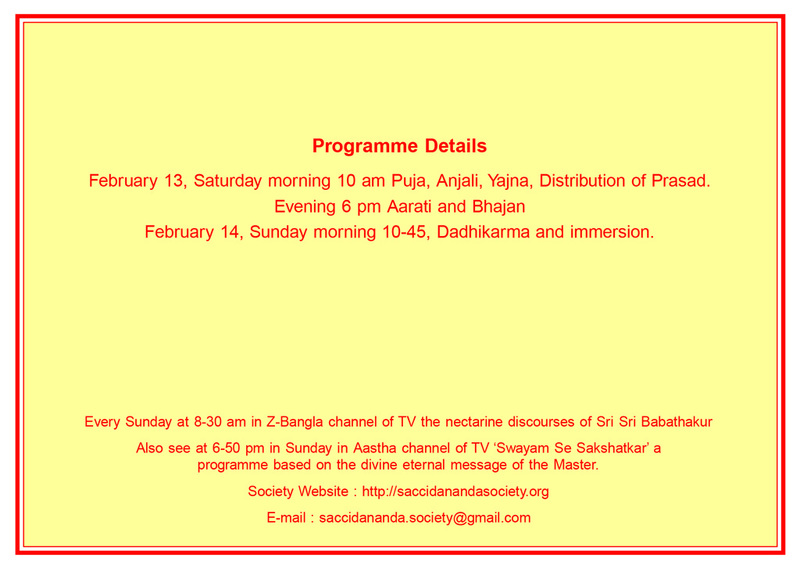 A function has been scheduled to be organized to offer prayers and respect by the devotees on Saturday, Feb 13, 2016, being Sripanchami Tithi, the day of Saraswati Puja and the day of divine arrival of Prajnanpurush Sri Sri Babathakur on the mortal plane. 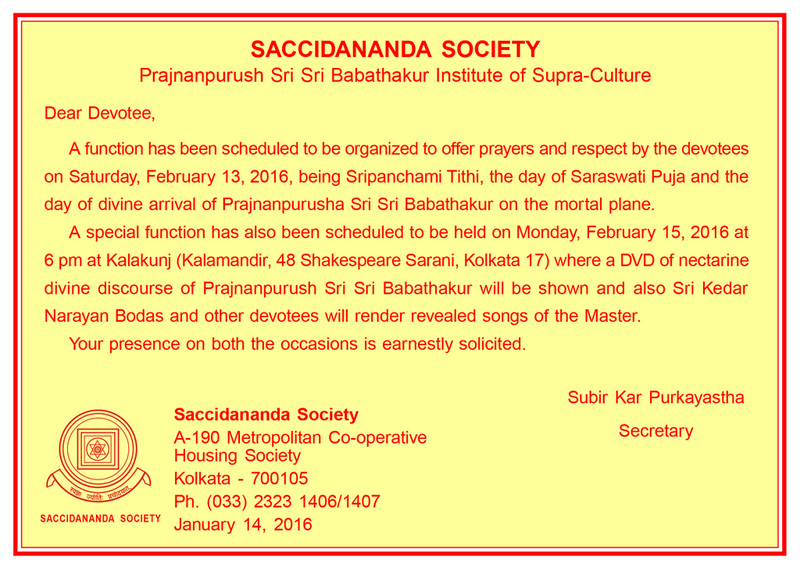 A special function has also been scheduled to be held on Monday, Feb 15, 2016 at 6pm at Kalakunj (Kalamandir, 48 Shakespeare Sarani, Kolkata 17) where a DVD of nectarine divine discourse of Prajnanpurush Sri Sri Babathakur will be shown and also Sri Kedar Narayan Bodas and other devotees will render revealed songs of the Master. Your presence on both the occasions is earnestly solicited.